Is there a cause you just can’t wait to start raising money for? Looking to raise even more money than before? Make the most of this summer and be ahead of the game by starting your fundraising efforts now! 1. Build your Brand: Design your campaign to reflect your organization’s personality and goals. This will tell people what you’re about without them having to do a lot of research. 2. Shop summer essentials and book travel with Campus Causes to earn cash back for your group: Book your summer vacation through your favorite travel sites like Hotels.com, Expedia, Hertz and more. A portion of your purchase will be donated back to your cause! Don’t forget to shop brands like Target and Jet for all your summer essentials. 3. Use technology: The Campus Causes Platform is only the first piece of the puzzle. Utilize the platform in conjunction with our recently released mobile app and browser extension. These will help you and your teammates stay on top of your campaign so you can keep shopping and raising money for your cause, even while not on campus. 4. Host an event to thank your teammates and everyone who contributed: Everyone loves being thanked for their hard work and summer is a great time for an outdoor party or barbecue. If you live close to campus or are still on campus this is a great way to keep spreading the word and an opportunity to thank those who have helped you along the way. 5. Show results: Share tangible evidence (e.g. photos and videos) of how your campaign has had an impact on your cause, club or community. People love seeing where their money went and fundraising is a results driven practice so don’t be afraid to showcase your success! Summer is a great time to start fundraising, you’ll have lots of time to refine your campaign and make it the best it can be. Tell us what campaign you’re raising money for this summer in the comments below. 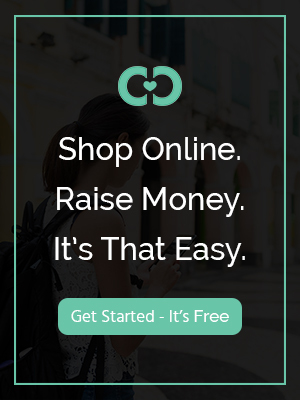 Create your “shop to raise” campaign here and start earning today!